Home Health Smoking is the Perfect way to Commit Suicide Without Actually Dying. Smoking is the Perfect way to Commit Suicide Without Actually Dying. It is always required to create more and more awareness among people about the harmful effects of smoking. Despite owning all the bad effects, the smokers are addicts and the addicts don’t care about the harm which it causes to body and health. I had also had the experience that the passive smoking is more injurious to active smoking. It means that the smokers are not only creating troubles for themselves that they also creating the troubles for the society. Smoking gives rise to many diseases, the most common diseases which are caused is ‘Asthma‘. People begin to part if they run for some time or if they take a long walk and when they limit up. It makes people feel uneasy and unhealthy. At times, it chops the throat so badly that people lead to coughing. When a people inhale smoke, they felt so better but in reality, they damaged our body parts like lungs. It especially harmful your lungs with asthma. Smoke is a powerful trigger of asthma symptoms. He or she is more likely to experience the wheezing, coughing, and shortness of breath. Smoking is an unhealthy habit for anyone, but it’s especially bad for anyone who has asthma. But very few people know harmful effect of cigarette addiction. Smoking damage and reduces the human lifespan by 25 years. Lungs: Smoking destroys your hairs present in upper part of your head. These hairs protect lungs from germs, dust, and other harmful effects. When your natural cleaning body part system is damaged by germs, dust, smoke, and harmful chemicals effect. Its enter in lungs and causing infection, cough, lung cancer. Heart: Smoking is a risk and it is the biggest risk factor of all heart diseases. It increases blood pressure . Smoking decrease Times of human life. And most important exercises Always keep Heart healthy. 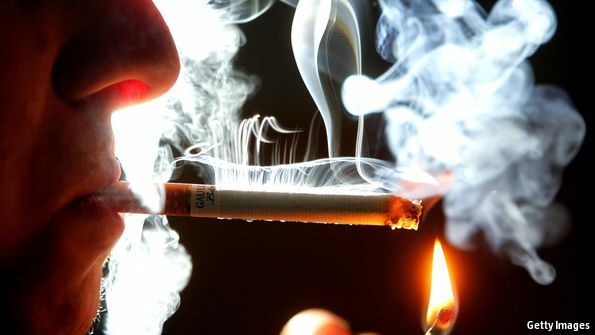 Cancer: When cigarette smoke enters your bloodstream and affects the entire body So its creat blood cancer in our body. More than 60 Substances which causes cancer. And 87% Lung cancer death due to smoking. We all know that smoking is the biggest risk factor and is injurious to health. Still, we are smoked. Some people thought that smoking is satisfaction platform. but nothing like that. If we survive for a long time so we will have to quit smoking. I know it is not easy for people but for survival will have to quit smoking. Cipla company produced Nicotex .cipla have a goodwill in the market. We can use it. The government has taken serious steps to curb but this problem seems to have been unstoppable. A few years ago, it was made obligatory to put a statutory warning on the packs of “cigarettes” and “bidis” but it seems to have no effect. The advertisement in movies and plays are creating a lot of awareness among people but it too seems to have no sign of reflection of understanding. so, the story solution lies in banning the tobacco products. If the government an ban on cocaine, then why not making of tobacco. the spelling of create is wrong in the above article.